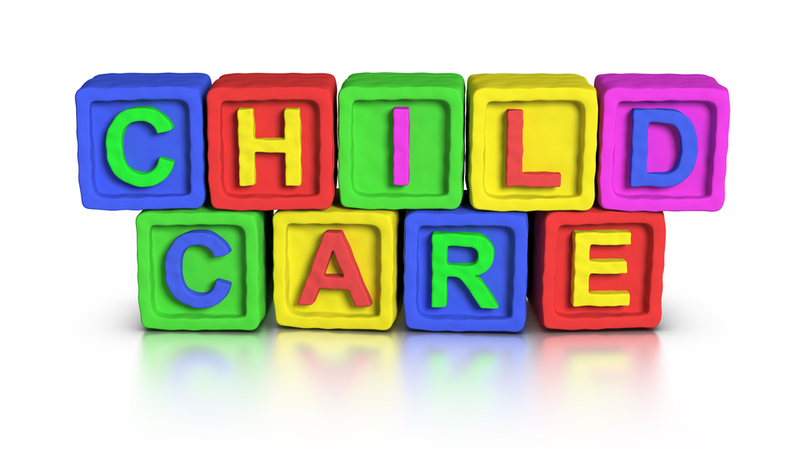 It can take longer than you think to find the childcare that’s right for you, so start early. Talk to other parents or family members about the childcare they use, and make sure you visit, interview and consider a range of options before working out what’s right for your family. 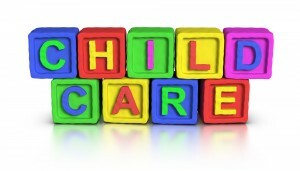 Give your childcare a ‘trial run’ before you’re back at work full time. You and your baby will need time to familiarise yourselves with new faces and routines so gradually building up to full days with the nursery can be the best way to settle in. All settings will offer a settling in period, this could be a full day, half-day or consecutive planned visits away from your baby, so you can get ‘acclimatised’ emotionally. Look4Nurseries.co.uk is a great way for a parent to search a nursery. There is a map search facility that works by you entering in your postcode, which will then search up to 5 miles to find the nearest nurseries to you! If you are responsible for a child and using registered childcare, you may be entitled to help with your childcare costs. 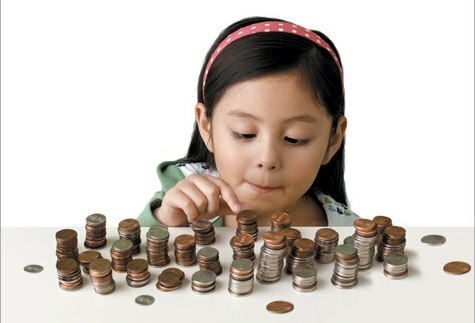 There is a range of financial assistance available when paying for childcare in the UK and details can be found here depending on your circumstance. Leaflet IR115 explains more about childcare vouchers, and the other ways employers can help with childcare. 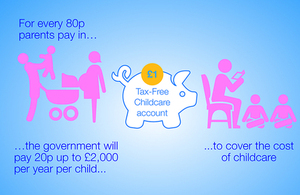 The Government’s announced a new Tax-Free Childcare scheme will replace the existing childcare vouchers programme in autumn 2015.The new scheme will be available to everyone who works more than eight hours a week, earning more than £2,420 a year (both parents must work if you’re a couple) and who pays for childcare. Unlike Childcare Vouchers, it’ll be open to the self-employed too. Under the initiative, eligible families will get 20% of their yearly childcare costs up to £10,000 per child paid for by the Government. This could mean payments of up to £2,000 per child. 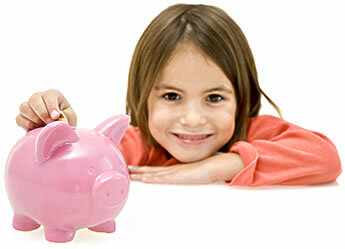 Childcare vouchers can save many parents with kids aged up to 15 over £1,000 a year on childcare. Frustratingly, they’re only available via employers, but many large and small companies take part. Free childcare for all 3 & 4 year old’s and eligible 2 year old’s. Example Your child was born on 15 February 2012. They’ll become eligible for free early education and childcare from the start of term following 1 April 2015. It’s estimated grandparents provide 1.7 billion hours of childcare every year for more than 1.5 million grandchildren. However, they can’t be paid for it using childcare vouchers or childcare tax credits, as they don’t provide regulated childcare. to gain. If you care for grandchildren aged under 12, this can qualify for Class 3 National Insurance credits (known as Specified Adult Childcare Credits). These count towards your qualifying years for a full state pension. If you’re retiring before April 2016, you need 30 qualifying working years to get the full state pension. If you’re retiring after April 2016, that’s raised to 35 years. If you’re looking after grandchildren, and you need extra qualifying years, it’s worth getting recognition for the childcare you provide. But, it’s not quite that simple. You need to claim these credits as they won’t be automatically added to your NI record. For grandparents to be eligible for the National Insurance credits, working parents need to give up the NI credits they receive when they claim child benefit and transfer them to the grandparent doing the caring – they’re transferable credits. You also need to time your claims. If you cared for a grandchild in the last tax year, you need to apply in the October after the end of the tax year for the credit to be transferred. You need to fill in the CA9176 form and send it off to HMRC. Both you and the parent transferring the credit need to sign the form. Job Grant is a work related payment you may get when you or your partner move directly from benefit into work. Find out if you qualify for a Job Grant, how much it is and how to claim it. You may be able to get a Job Grant if, you are moving directly from benefit into work of at least 16 hours a week. This could be starting a new job, increasing the hours you work in an existing job or having a combination of jobs. You may also get a Job Grant if your partner starts working at least 24 hours a week and as a result your benefit stops. The work must be expected to last for at least five weeks, and you must tell Social Security or Jobs & Benefits office within 21 days of starting work. Any period where you are not entitled to a payment of benefit does not count towards the 26 week qualifying period. The amount of Job Grant you will get depends on your circumstances. You will automatically get Job Grant so long as you qualify. You need to make sure you tell your Social Security or Jobs and Benefits office that you’re starting work and you must do this within 21 days of starting work. You will be paid in the same way as you were paid benefits.